As medical science progressed through the nineteenth century, the United States was at the forefront of public health initiatives across the Americas. Dreadful sanitary conditions were relieved, lives were saved, and health care developed into a formidable institution throughout Latin America as doctors and bureaucrats from the United States flexed their scientific muscle. This wasn't a purely altruistic enterprise, however, as Jose Amador reveals in Medicine and Nation Building in the Americas, 1890-1940. Rather, these efforts almost served as a precursor to modern American interventionism. For places like Cuba, Puerto Rico, and Brazil, these initiatives were especially invasive. 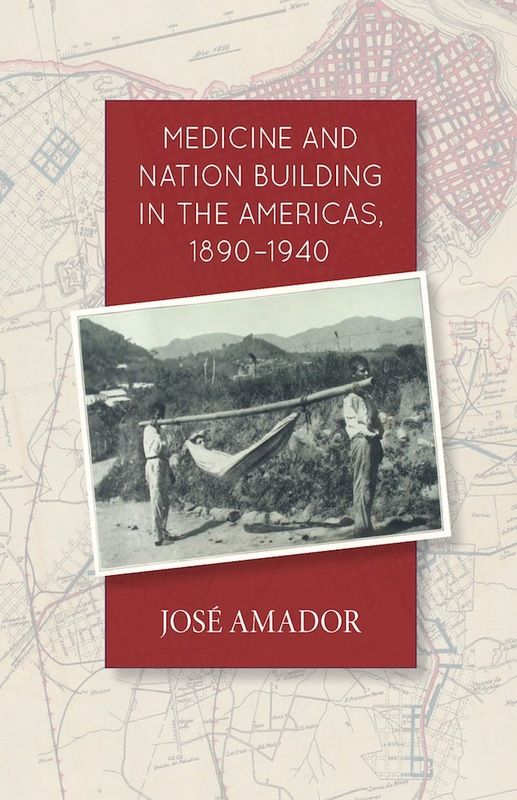 Drawing on sources in Cuba, Puerto Rico, Brazil, and the United States, Amador shows that initiatives launched in colonial settings laid the foundation for the rise of public health programs in the hemisphere and transformed debates about the formation of national culture. Writers rethought theories of environmental and racial danger, while Cuban reformers invoked the yellow fever campaign to exclude nonwhite immigrants. Puerto Rican peasants flooded hookworm treatment stations, and Brazilian sanitarians embraced regionalist and imperialist ideologies. Together, these groups illustrated that public health campaigns developed in the shadow of empire propelled new conflicts and conversations about achieving modernity and progress in the tropics. This book is a recipient of the annual Norman L. and Roselea J. Goldberg Prize for the best project in the area of medicine. Jose Amador is Assistant Professor of Latin American Studies at Miami University of Ohio. "[T]he book is enlivened by the exegesis of relevant fiction, moralizing tales, and social scientific studies. . . . [T]he juxtaposition between public health practice and literary criticism . . . reminds us that, despite the self-fashioning of public health as a pragmatic discipline aiming for technical precision and succinctness, public health practitioners in the past drew from a diverse array of genres for inspiration and provocation. Such a lesson can and should be passed on to our present-day public health experts and students." "Amador's work will establish how public health circuits were so critical to not only racial formation, but also the development of hemispheric cultural relations at large. The book's central conceptual anchor of 'intellectual currents and public health crossings' is sure to inspire a new generation of scholars seeking to develop frameworks for the transnational and cultural history of health in Latin America." "A wonderful example of what historically grounded transnational analysis can do for our understanding of the history of race and public health in the Americas. This makes a field-defining contribution to the social and cultural history of medicine as well as multiple national historiographies in race and ethnic studies."